The nail has a special design specifically in the area of the head (which is submerged in the top-lift), which allows us to give a high resistance when we are trying to take it out. Also, this head has splines ensuring that, it is always positioned at the same height, leaving the bottom part of the Top-lift, the maximum possible use of material. The design of this part of the head nail, prevents not turning, and not come off. 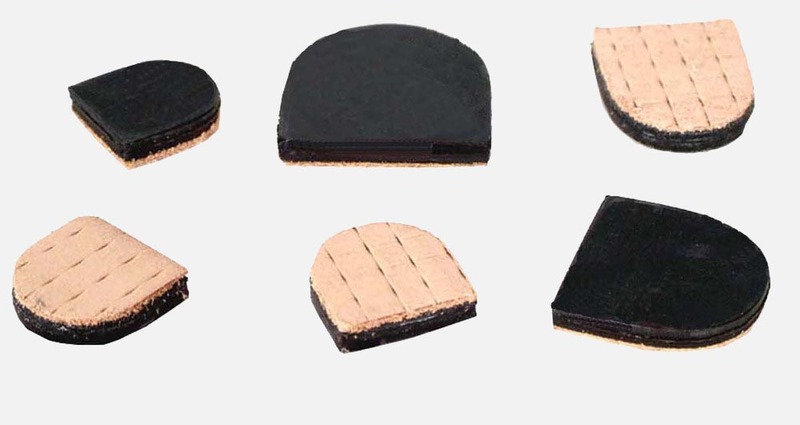 The material that we manufacture these top-pieces is the best for producing this type of articles, which gives us a really good abrasion resistance, for the repairing shoe market. Also during using this item you can make a very good finish work, due to this nice sanding. If you look at the top of all top-pieces, you will see on their surface a circular groove around the nail, this groove has the mission to accommodate inside the small prominences having some heels in their base. Another great achievement of this product is its high resistance to deformation, due to the high pressure that a woman practise on such a small surface when she is walking, as the result of the sum of the continuous impacts suffered the top-pieces against the floor. Our manufacturing system is fully automatic, this allows us to ensure that the cycle times are constant, so we can ensure that all parts produced are exactly the same. To finish optimizing the process, we have included at the end of the production line, a quality control. As we will see in the video, basically it is a radiography by using an X-ray, ckecking one by one of the top-pieces. In case any of them have any defective inside, it will be rejected and automatically removed from the packing. Finally, the packaging is also handled automatically by sensors that count one by one all the pieces that are entering inside boxes, avoiding possible errors if we made manually. The whole piece is made with the same material, however, the DOUBLE-COMPONENT has the bottom part with a layer of 2 mm. of a softer material . The quality of both materials is the same. What is giving us the softer layer is greater ride comfort, and avoid characteristic sound of heels for women, when they are walking. Once, consumed these 2 mm. we will find again, the same material as in the MONO-COMPONENT top-pieces. We always need a minimum of hard material that hold the nail. So thats why, DOUBLE-COMPONENT top-pieces has been designed for these super demanding clients. This item has the same technical features we've seen on the top-pieces. It is made for those heels while being relatively thin, have not inside a steel tube which hold the top piece. Due to the small surface of the base of the heel, we will need a top-piece with the same characteristics of a pin top, but without the nail. In this top-pieces, we add a stamped leather, whose only mission is to ensure optimal bonding between bottom heel surface and the top-pieces. This support is necessary, since one of the features of TPU is the great difficulty of being stuck with a conventional cement. Our TPU injected soles and heels, although at first view, they seem, equal to others, have characteristics that make them different than anything that exists in the market today. The material from which these parts are made, it is up to 5 times more wear resistant than any similar product you can find in the market. The product has and excellent résistance and the technique used allows us to manufacture with a minimum thickness. 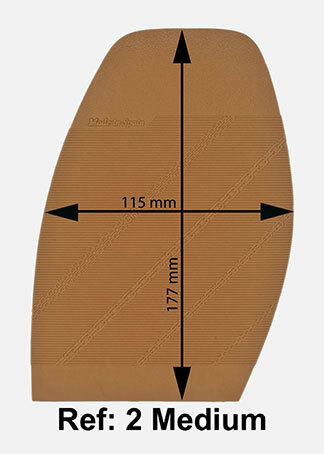 If we measure the thickness of these soles, we can see that in the central part has 1.5 mm. and edges reduce it to 1 mm. Effect is that by placing the sole, once we finished the job, you can not see at a first view, the sole repaired, keeping the entire shoe elegance. 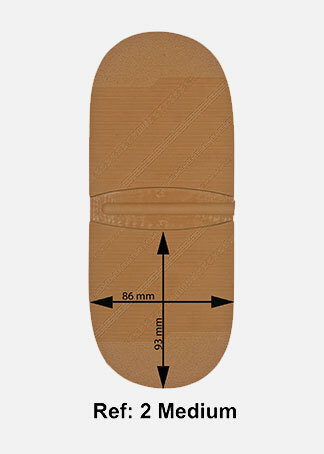 TPU soles have high wear resistance and ensure a longer life of the sole even extremely thin . Regarding the heels made in TPU, it is clear that their technical characteristics are the same. Repairing the shoe with this article warrants to prolong up to 5 times the usage time shoe once repaired. The duration of the repair will be so spectacular, that guarantees the return of the customer to our shop, when he needs a new job. 4º Rubber sheet 50 X 50 cm. 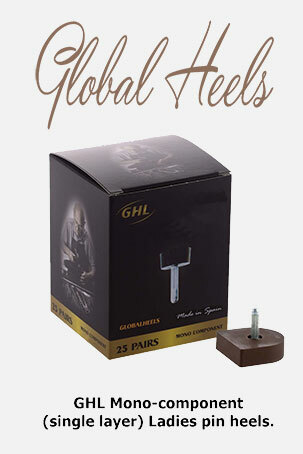 To complete the range of products meant to heels lady, we offer rubber sheets. The difference between the last product, that are been produced with TPU, this ones are been produced by vulcanized rubber. The finally destination is to repair those heels that have a large area at the base, since this larger area causes pressure and stress produced by top-pieces, is much smaller, making it unnecessary to use the materials listed above, with a good rubber is more than enough, to meet the expectations of the end customer. It will get very good results in their use. We must not forget that our business is repairing shoes, the customer has to be satisfied, but if we exceed the requirements of the quality standards we're running the business, they have to be happy, but eventually have to return back to repair the shoes again.